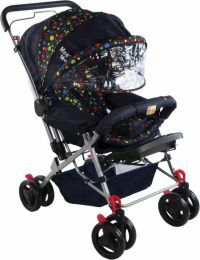 The stroller comes in a great colour combination of blue and black, which your cute little toddler will love to have a ride on. This light-weighted 3 Wheeler Stroller is made to provide enough safety and comfort to your baby. 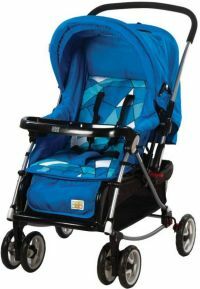 3 Wheeler Stroller MM-38 Blue The stroller comes in a great colour combination of blue and black, which your cute little toddler will love to have a ride on. 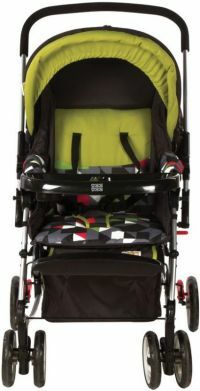 This light-weighted 3 Wheeler Stroller is made to provide enough safety and comfort to your baby. Mee Mee’s 3 Wheeler Stroller lets your child eat, drink, relax and roam while being seated and it has lightweight and protective vehicle. 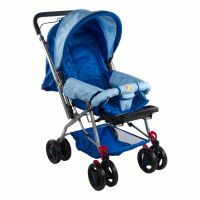 To Recieve updates and possible rewards for Mee Mee MM-38 Pram Blue please sign in. To Recieve updates and possible rewards for Strollers & Prams please sign in.